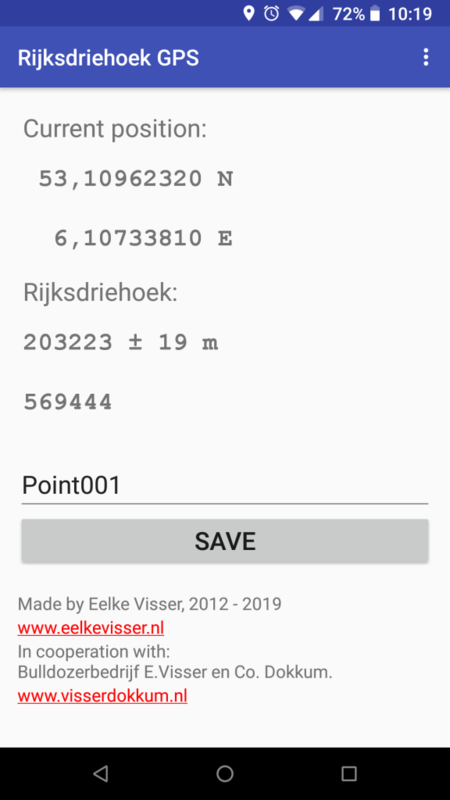 This is an Android GPS application that gives you the Dutch grid, Rijksdriehoek or RD coordinates. 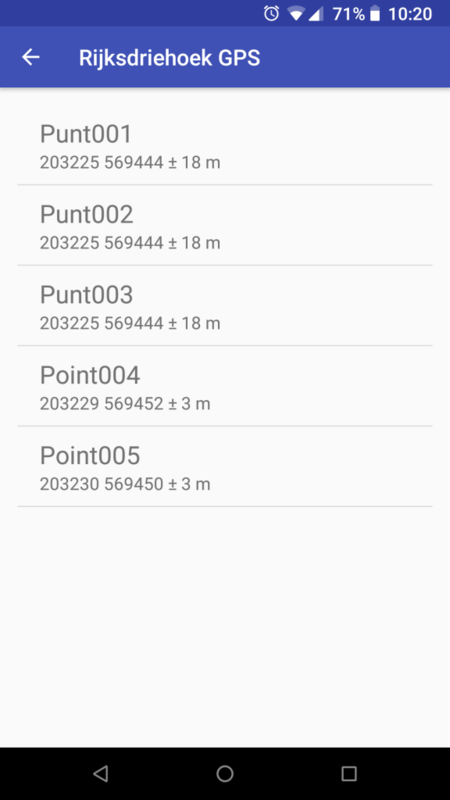 It is usefull for construction work, GIS mapping and agriculture projects. 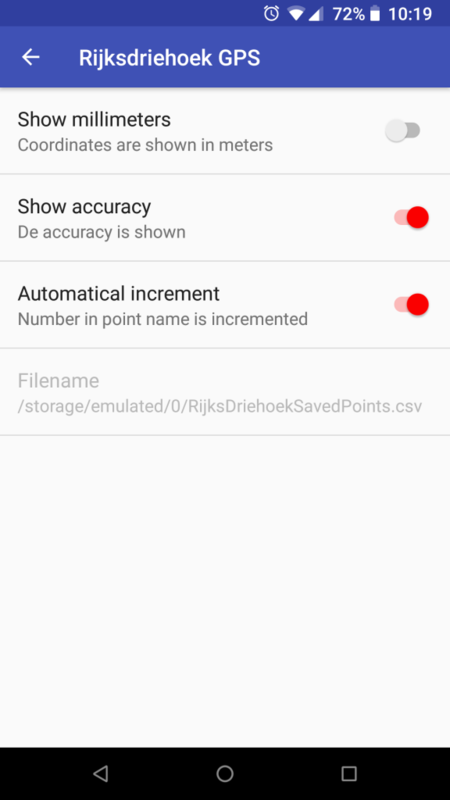 It supports saving your points to a ‘RijksDriehoekSavedPoints.csv’ file in the root of the SD-card. Download the app from the Google Play Store.